Pool Covers - Rintoul's Leisurescapes - Above Ground, Inground Pool and Landscape ideas for Owen Sound, Port Elgin and surrounding areas. 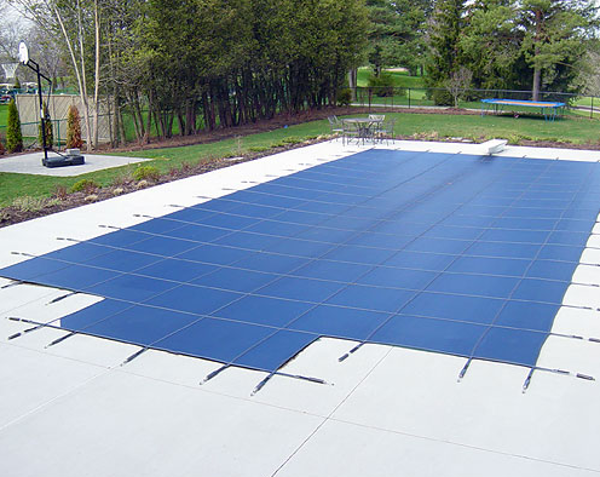 Swimming pool covers come in many different types, including solar covers, safety covers, winterizing covers, and covers meant for daily use. Pool covers also come in different styles, such as track-style covers, and can be manual or automatic. 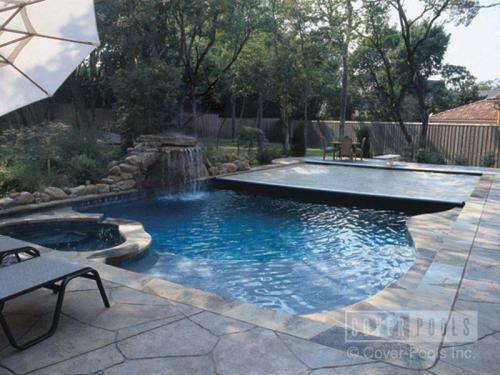 To learn about available options in pool covers and their benefits--including keeping your pool safe and clean, while saving money—talk to us today! 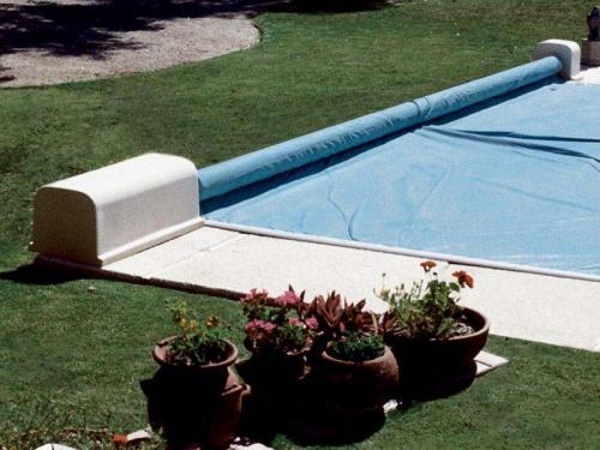 No More water bags, no more hole-filled tarp covers, no more hassle! 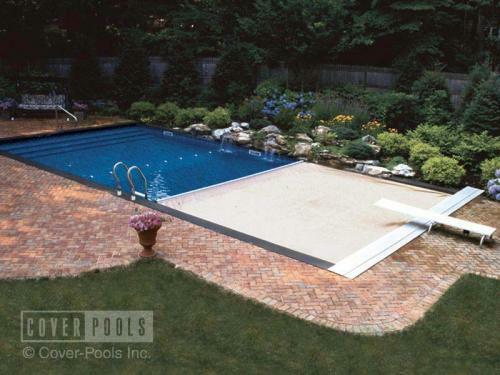 A mesh safety cover offers you the piece of mind that opening and closing your pool will be a breeze! 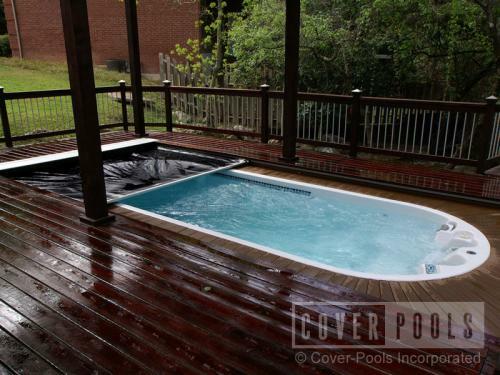 Brass anchors are installed in the deck, and springs that are attached to the cover lock on to these anchors, giving you a tight, perfect fit every time. 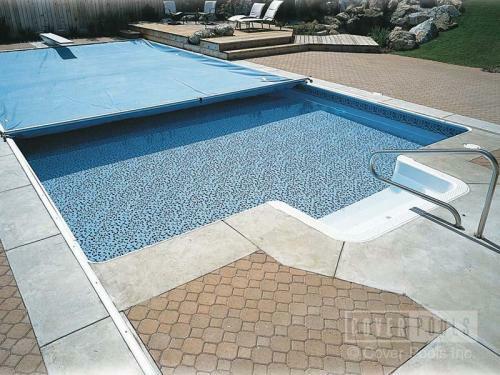 The mesh allows water to pass through, which means no more pumping off the cover, or topping off the pool in the spring. 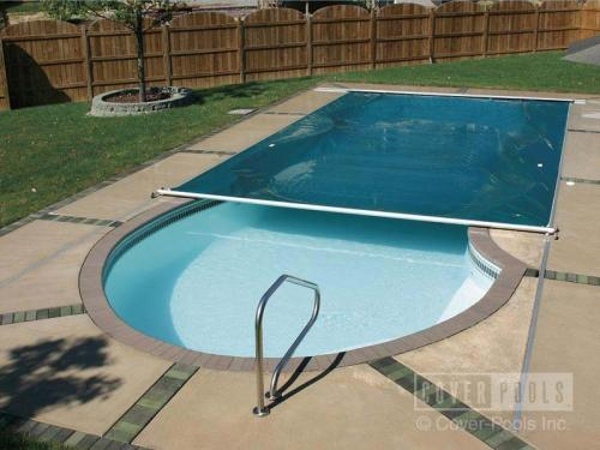 Not only is it easy, its also safe! 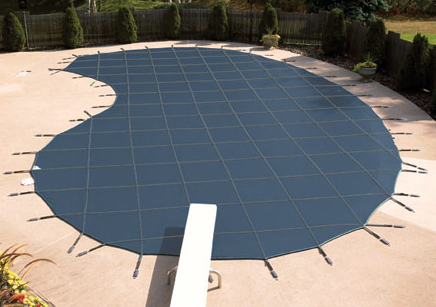 A mesh safety cover can hold the weight of a car, meaning your children and pets will be safe from falling in the pool during the winter. Cover-Pools safety covers can be customized for any pool shape or size and are available in a wide range of colours. 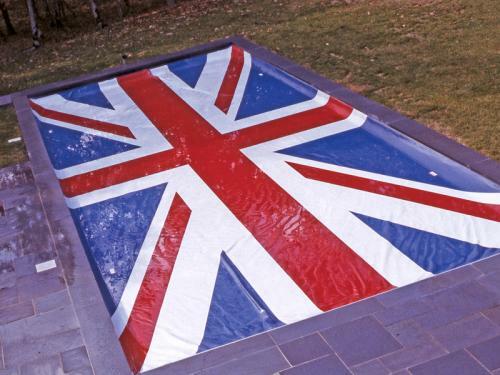 They are a great feature to add to any pool and act as a guard against dirt and debris, as well as keeping children and animals safe. 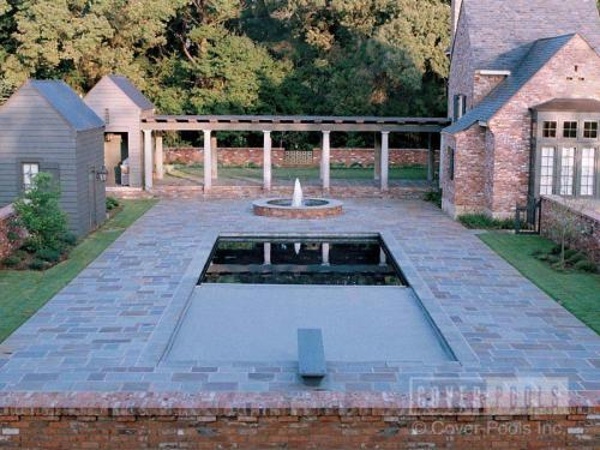 The unique design acts as a solar, and winter pool cover in one, saving you valuable money in heating costs. Contact one of our pool professionals for more information and a quote. 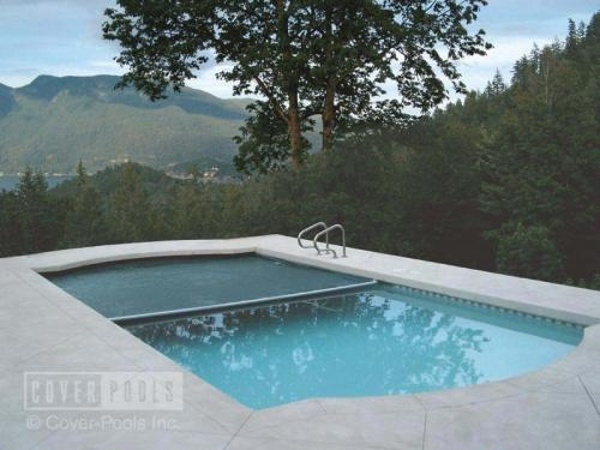 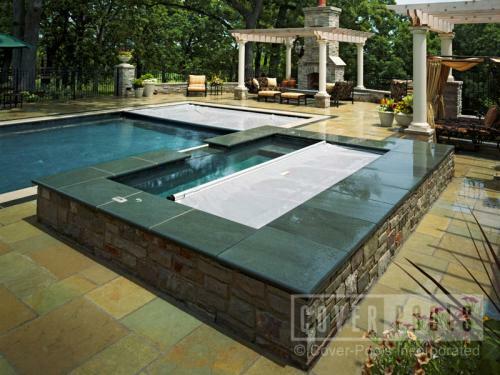 Call Rintoul's Pools and Hot Tubs or visit our showroom in Owen Sound today!